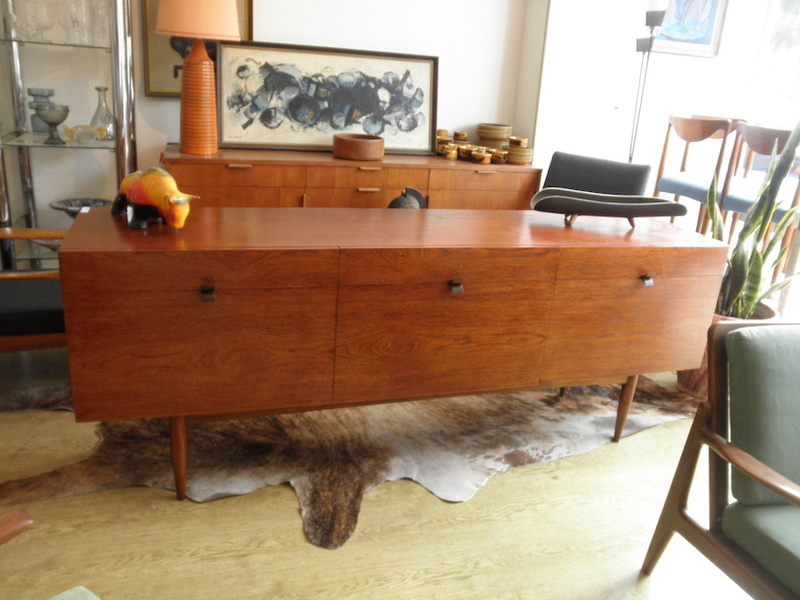 Extremely rare Rodd mid century sideboard circa 1960s. 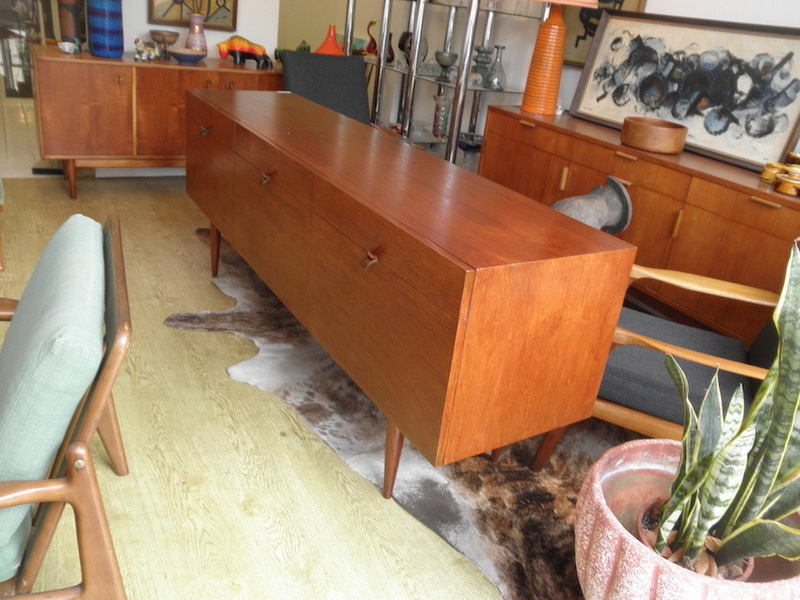 This rare Rodd sideboard is the only one of this model I have ever seen. 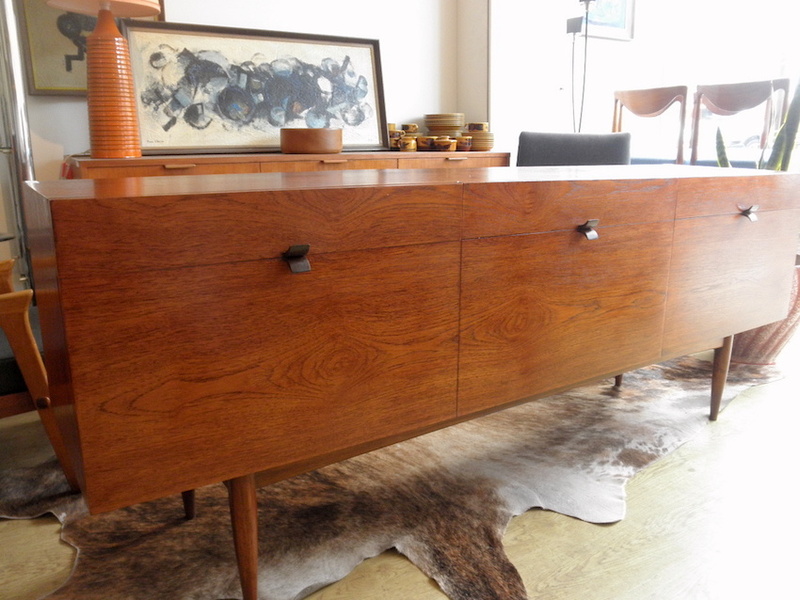 The Rodd company made two other models of a similarly proportioned sideboard that are extremely rare and desirable. 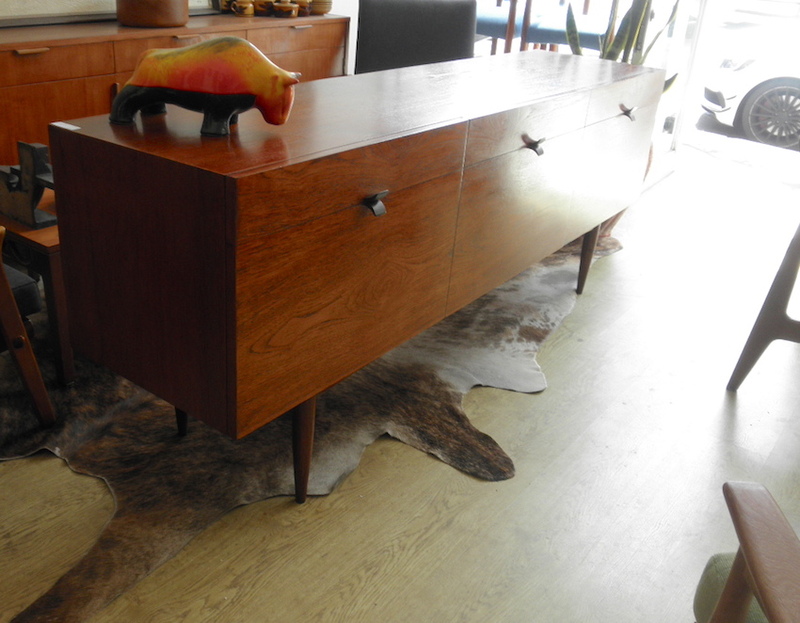 This model has discrete teak hand grips that act as draw pulls and door handles. The doors all drop down to reveal cupboards and there are 3 generous drawers. 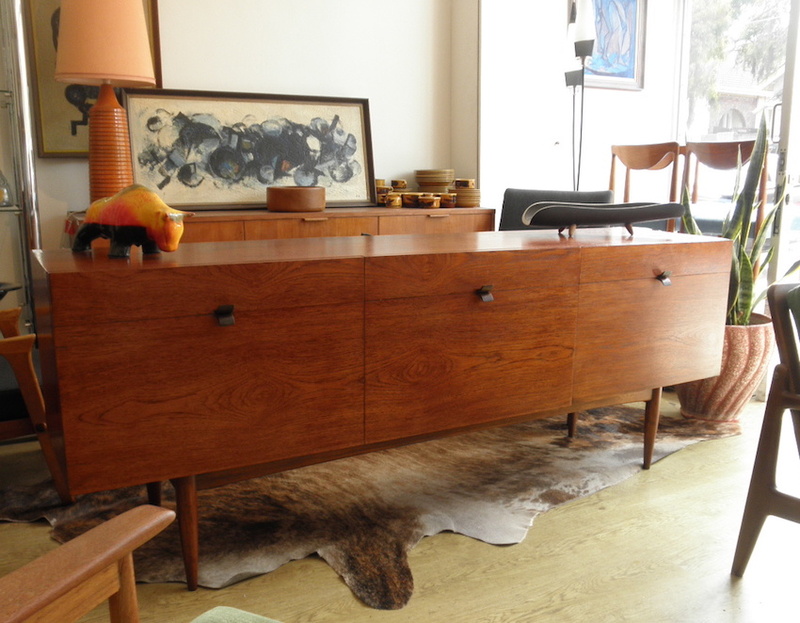 Rodd sideboards were the most beautifully proportioned Australian units in my opinion and at a generous 197cm long it still retains a lightness due to the slimline design.